Apparently and sadly, Cafe Radio has closed. But a funny thing happened. Spurred in part by a glowing John Gilchrist review on CBC Radio, they’re increasingly enticing folks to drive some 45 minutes from the big city to soak up some small-town ambience, listen to a Friday-night concert and, most important, enjoy great down-home cooking. 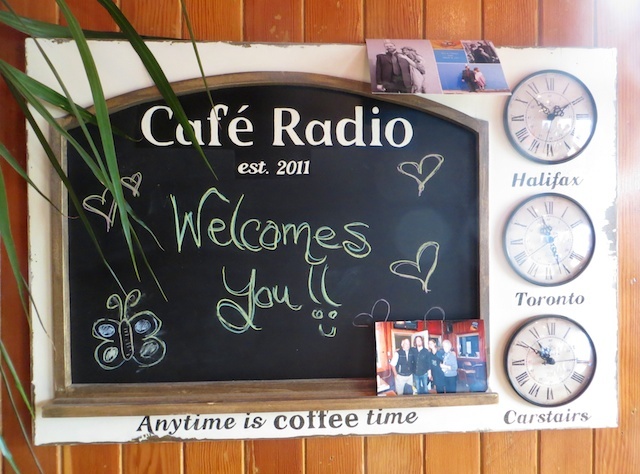 Café Radio is an interesting blend of old and new. 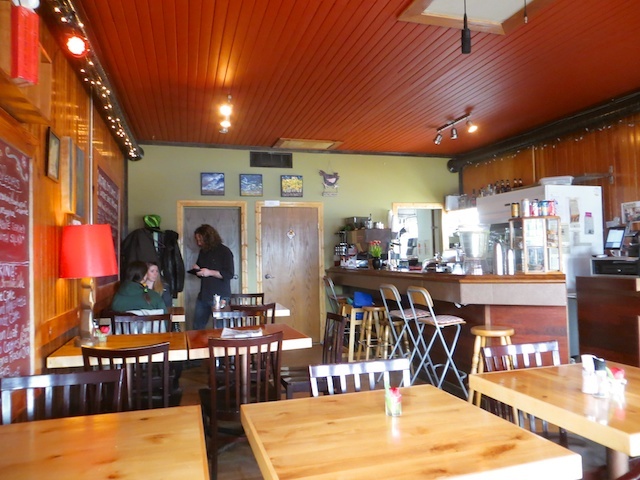 The restaurant is in a small, old industrial building with vertical wood paneling. Yet in the corner, above a piano, speakers softly stream music from two online radio stations. When I visit for lunch, bearded Jason Valleau—who along with his brother, Sheldon, plays in the longstanding band The Polyjesters—is working the tables and the high-end espresso machine, while keeping up a steady banter with customers. “That’s three of you? 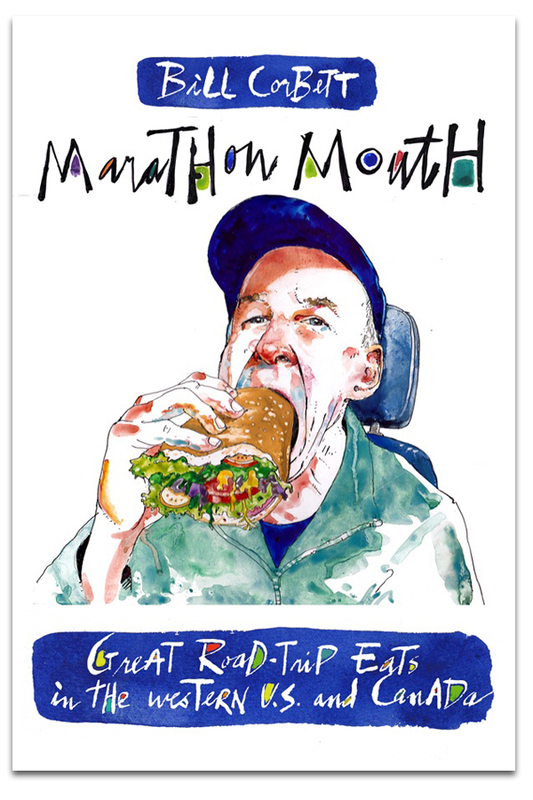 Would you like the executive table?” Eying my nearly licked-clean plate, he asks, “Want the rest to go?” Meanwhile, mother Carol (sporting a butcher’s apron that says Our Meat is Hung Longer) is alternatively chatting with regulars and disappearing to assemble sandwiches. Oh, I almost forgot about my fabulous lunch, chosen from a blackboard listing half a dozen sandwiches, a couple of soups and salads and two daily specials. 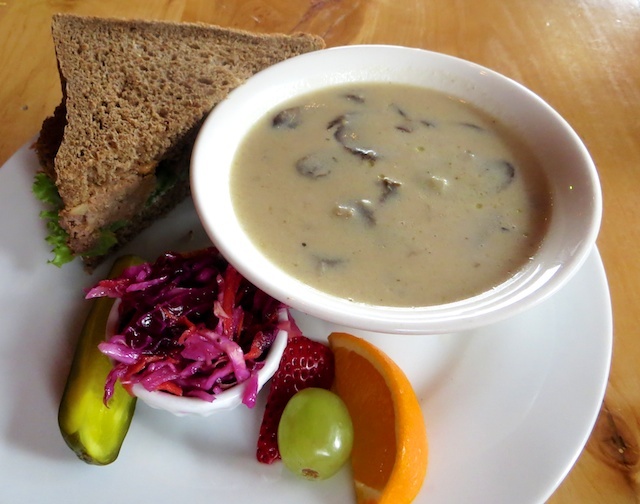 Jason wisely suggests a half sandwich (in my case a moist meatloaf on dense multigrain bread) will be plenty to go with a hearty bowl of cream of mushroom soup featuring thick slices of mushroom. Indeed, there’s no room for a slab of decadent cake, just a potent Americano from local roaster Mountain View’s beans. There are no menu prices on the blackboard. But don’t worry about breaking the bank. My considerable lunch and coffee adds up to about $10. The added local character? Priceless. This entry was posted in Alberta, Alberta restaurants, carstairs and tagged Carstairs Alberta on March 31, 2014 by bcorbett907.